Choosing a distribution channel is a pivotal decision for your business. What you choose determines how your products are handled and the speed in which they are delivered. Type of product. If your product is perishable or is unstable, you will need it much faster and need to use a direct distribution method. Market. If your market is consumers, retailers are an essential distribution method whereas business markets may need another approach that you'll need to identify. Middlemen. Depending on your needs and the demands on your time, a middleman can help distribute products quickly and efficiently. This is something that's worth checking out and is usually determined by your budget. Many people, erroneously consider their marketing campaign before deciding upon their distribution plan. This is a mistake. Marketing comes after you’ve made the decision about your distribution channel because marketing is the strategy you use to reach your distribution channel. And, much of your wholesale business depends heavily on which method you select as a way to reach your customers. For example, if you decide to use a sales force as your primary means of reaching people, then much of your focus will be on training your sales force to position your product (or service) effectively. You'll need to hire staff, coach them, and equip them with key messages. On the other hand, if you choose to reach people through direct mail, then you’ll focus heavily on obtaining reliable contact lists and setting up and staffing call-centers. You need to ask yourself what methods your competitors are using, and, more importantly, why. Ask yourself if there is a qualitative advantage over other channels, or is it simply the way the industry has always operated? Perhaps there is a distribution channel that your competitors have overlooked. In which case, you'll gain an edge by taking advantage of it. 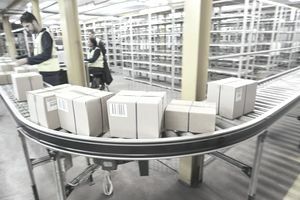 For example, if your competitors are mainly distributing product via big-box retailers, taking advantage of direct sales through the internet can give you a unique angle. After deciding on a method of distribution, creating all the support systems that go along with it is time-consuming and expensive. First, you need to orientate your entire company in a certain direction, and once that's done it'll be difficult to reverse your decision. Also, the actual act of building an infrastructure to support a selected distribution channel is expensive and time-consuming. It’s best to carefully weigh the costs and benefits associated with each and every one of your options before committing resources to it. After examining the different methods available to you, rank them by order of preference according to what will net you the most amount of revenue at the end of the year. You may find that you'll begin by pursuing one distribution channel and find that that doesn’t preclude you from adding additional channels as you acquire more capital. You may even find that some methods are complementary to each other and that synergy will make you more productive and efficient. The most important thing you can do is carefully consider your options and not just select a direction because it’s the industry standard or most convenient avenue for your business. If you question the reason behind your decision at the onset, you may discover an overlooked advantage or drawback.